Wind Turbine Syndrome | Are some people not worthy? Are some people not worthy? Would you support your selectmen or town council if they developed a policy to force firefighters to be ready to respond after a 48 or 72 hour shift? Using municipal firefighters as an example, towns have policies, in addition to bargaining unit contracts, dictating the hours one employee can work in succession. Laws preclude unreasonable shift durations because of safety concerns focused primarily on adequate periods of rest. Sleep deprivation results in impairment of cognitive ability and causes significant risk of making mistakes when engaging in all activities. 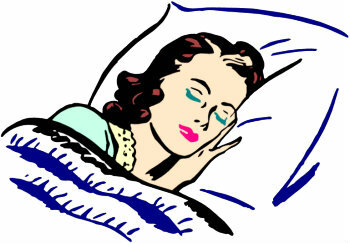 For example, several major industrial accidents in recent history have been attributed to sleep deprived workers. These include the Three Mile Island nuclear power plant accident, the Chernobyl nuclear catastrophe, the Exxon Valdez oil spill, and the Challenger space shuttle disaster. The U.S. Department of Transportation identifies fatigue as the Number One safety problem in transportation operation. Sleepy drivers are as much a danger as alcohol-impaired drivers, says the U.S. National Highway Traffic Safety Administration (NHTSA). A study conducted by the Civil Aerospace Medical Institute concluded that fatigue effect closely resembles the effects of alcohol. After 24 hours awake, cognitive performance is consistent with the skill level of someone with 0.10 blood alcohol concentration (considered as too impaired to safely operate a vehicle). In Falmouth Massachusetts, sleep deprevasion/fatigue accounted for 85% of the reported symptomatic problems by residents within 3/4 mile from the town’s industrial turbine zone. Bringing home the point. In June 2003, “Maggie’s Law” was passed in New Jersey and made it illegal to knowingly drive a vehicle while impaired by lack of sleep. The law raises the specter of municipal and state liability for subjecting people to unreasonable limits of fatigue to meet the demands of “green energy goals” and illusory profit streams. Laws and regulatory provisions protect firefighters from risk of fatigue. Are some people not worthy? Do the legal references, above, along with the Mass. State Constitution, Article 97, regarding the people’s right to freedom from excessive and unnecessary noise—all of which provisions have been ignored and transgressed—justify a class action suit holding accountable the wind industry in Massachusetts and the elected officials who act in violation of these statutes? Would the legal fees be covered by donations from readers of this website? Should such a suit go to court but not be decided in favor of those afflicted, would the license to violate people’s rights not be revealed along with the complete failure of adequate power generated by the inconsistent wind? Thank you, Mark, for your courage in speaking out about the effect of these wind turbines on your life and your work performance as an air traffic controller. Unfortunately this is utterly predictable, based on existing knowledge from 2003. Now that infrasound and low frequency noise (ILFN) are being measured inside the homes of sick people, and some symptoms such as ear pressure, episodes of sleep disturbance and body vibrations appear to be correlating with peaks of sound energy in those lower frequencies, it has prompted me to go back to the scientific literature to see what was already known about the adverse health effects of exposure to low frequency noise and infrasound. There are two key documents. The first, Leventhall et al.’s 2003 literature review for DEFRA, confirms (on p. 49) the range and pattern of symptoms occurring in response to low frequency noise, from a case control study. Not surprisingly, the results are remarkably similar to the symptoms listed by Dr Nina Pierpont MD in her study. The author (Leventhall) has admitted he is well aware of those symptoms occurring in response to LFN, and identical in nature to the symptoms described by Dr Pierpont. Except Leventhall now claims they are due to “PSYCHOLOGICAL stress from annoyance.” However he himself has confirmed that there is a primary PHYSIOLOGICAL response from scientific evidence available at the time, in 2003, with the specific example of truck LFN-induced PHYSIOLOGICAL stress occurring in sleeping children. There is further evidence from the peer-reviewed and published scientific literature on infrasound. The existence of a primary PHYSIOLOGICAL stress response from infrasound exposure (as distinct from LFN) is supported by some of the references in the second document, from NIEHS in the USA, which lists empirical research known in 2001 about the various effects of infrasound on animals and humans. These impacts include evidence of surges of adrenaline and cortisol. Qibai and Shi’s paper on observed and measured changes in blood pressure following exposure to infrasound at specific frequencies is another example of a primary PHYSIOLOGICAL response. Thus there is limited but nonetheless clear evidence that it was known in 2003 that both infrasound and LFN could induce a primary PHYSIOLOGICAL stress response. This is important, because Cognitive Behavioural Therapy (CBT) suggested by Leventhall will NOT prevent this physiological response from occurring, and therefore not prevent the damage it can cause if prolonged. An example of this is the repetitive “waking in a panicked state” which I suspect will be shown to be related to peaks of specific low frequencies inside the home at the time people wake up suddenly—a classic PHYSIOLOGICAL stress response. How the poor, unfortunate person then deals with it may become an additional psychological stressor, because many people report getting very frustrated at not getting a good night’s sleep, through circumstances beyond their control. Hardly surprising. This is precisely what people are living with, 24/7, whenever the wind is blowing. This PHYSIOLOGICAL stress effect, when COMBINED with chronic severe sleep deprivation (and no doubt a PSYCHOLOGICAL STRESS EFFECT when their symptoms and health problems are denied and the responsible authorities refuse to investigate), can only be called catastrophic, especially with cumulative exposure. Their only option is to leave their home in order to regain their health, and this is precisely what is being reported around the world. Your current health and your impaired work performance are the end result of that ongoing exposure to these sound frequencies in the infrasound and low frequency regions, now being measured at multiple wind development sites in Australian homes. Rob Rand and Steve Ambrose’s findings of ILFN inside the home at Falmouth are not isolated events, nor is their experience of developing symptoms at the time these frequencies are being measured. Chronic stress was known in 1998 to be extremely deleterious for long-term health. The article from the New England Journal of Medicine by Bruce McEwen on “Protective and damaging effects of stress mediators” Volume 338 (3) pp 171 – 179, shows very clearly what was known then, in 1998, about chronic stress and its effects on health. The evidence has continued to mount, since then. The section on “rapidly aging rats” is well worth sharing with those who deny the problems, or deny there is evidence for the problems you are experiencing. There are plenty of scientific clues as to what is happening to people. What is needed now is the specific acoustic and clinical evidence. The missing link has been obtaining the acoustic data showing actual exposures of people 24/7, especially inside their homes, and we all owe a debt of gratitude to acousticians such as Rick James, Steve Ambrose, Rob Rand, Steve Cooper, Bob Thorne and others, for going and investigating and sharing their results. The noise engineer/acoustician’s various codes of ethics are very clear. They have a duty to protect the health and safety of the public. Wind industry acousticians and those who work for noise regulatory authorities who deny these problems are occurring, who do not thoroughly investigate, and who do not measure the full sound spectrum inside and outside homes and make the data transparently available to the public—do not appear to be behaving in accordance with their codes of ethics. For an overview of what is required in the way of acoustic testing, to determine the real exposures of infrasound and low frequency noise pollution people are living with 24/7, please see the Waubra Foundation’s Acoustic Pollution Assessment Requirements, prepared in consultation with acousticians. In April 2012, a survey of the 230 households within 10 km of the 37 by 3.0 MW turbine Waterloo wind farm in South Australia’s mid-north was conducted. 93 households returned the survey and 29% reported that they had sleep disturbance issues from the turbines out to a distance of 10 km. In considering the responses for residents within 5 km, there are 75 homes in this area. 16 out of the 41 households who responded had sleep deprivation issues. That is, out to 5 km, 39% of households who responded were affected by sleep disturbance issues. The main occupation of the residents in the area is broad acre farming and livestock, so these sleep deprived people are operating agricultural machinery, making important management decisions, driving trucks and heavy machinery on the road and using hazardous chemicals on a daily basis. This is a recipe for disaster and a whole lot of “accidents” waiting to happen. And the wind company’s plan is to put 6 more turbines at the southern end of the windfarm and 41 more turbines at the other end, and then 40 more turbines 8 km away on a parallel range. What is the South Australia state government’s policy on this? It is to do everything they can to approve it and make it all happen.